Water and sanitation in the area is in a difficult situation because there is neither water supply system nor sanitation facility. People fetch water from ponds and defecate in the open. One particular problem of the area is that the groundwater level is close to the ground surface. When it rains, water flows into yards roads and open aqua privy. Contaminated water are soaked into groundwater and it causes pollution of groundwater as well as water points. The environment becomes the breeding ground for diseases to spread easily. The lack of access to clean drinking water and proper sanitation facility create a significant amount of illnesses and deaths every year. The area had cholera epidemics several times which caused more suffering and deaths among women and children who are the most affected. Exposed groundwater sources are contaminated in many places and there is no safe source of water for people to get clean water for their daily use. Water point is dirty and people step into water with their shoes. When it rains, water soaks excreta and pollutes water points. 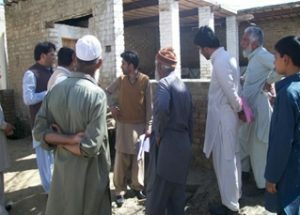 An open well used in the village HDPG survey team visited and interviewed people in the village about wells and water condition. 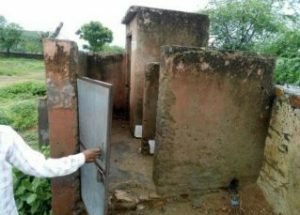 The difficulty to access water and the low per-capita income of the district have impacted the sanitation conditions among the rural population including the schools, where existing sanitation facilities are in a deplorable condition and cannot be used by students. Poor financial resources have prevented rehabilitation of old broken sanitation structures. Students cannot use the toilet because of lacking water. A lack of funds and water connection has led to its long-term neglect and excessive damage. This causes absenteeism, especially of girls. 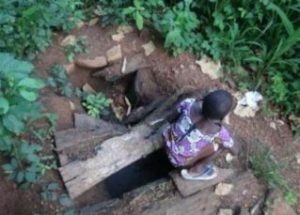 Girls have to go home to use toilet and the boys defecate in the open. Madagascar has approximately 22 million populations, with the majority, which represent 80% of the population, living in rural areas, where the minimum of public services and facilities are almost inexistent. 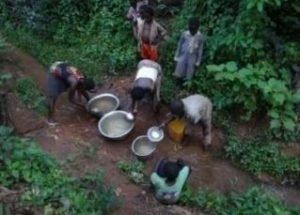 In the village of Ampandroantsiriry, due to a lack of access to clean water the local people, especially women and children have to walk hundreds meters from their village to nearby streams to wash their dishes and clothes, and fetch water. The stream is used by the local community as main source of water for drinking and cooking. On the other hand, addition to washing dishes and clothes, the majorities of the communities’ members defecate in the surrounding areas since there is no toilet facility. As a result the local community is exposed to infections such as cholera, diarrhea, and typhoid. Furthermore, there is a dumping site few hundred meters upstream which pollutes water stream. 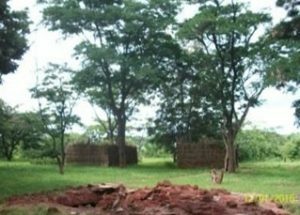 Ndenyende village with more than 3,800 people has one primary school with more than 450 pupils from standard 1-7 grade and 10 teachers. 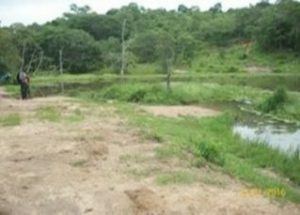 The village and the school depend their water sources from rivers located 5 to 7 kilometers north (Nanyungu river) and south (Matikwili river). There is no fresh water at the school to drink and wash hands. Few pupils carry plastic bottles filled with water for drinking from their homes. The bottled water is unboiled. The risk for waterborne diseases is very high for the pupils and is a cause of school absenteeism. The school does not have a safe sanitation facility. 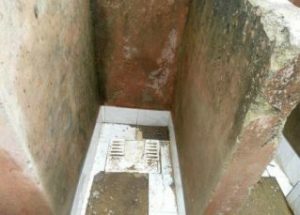 Although there are grass-fenced toilets, using the toilets in the rainy season involves danger for pupils. 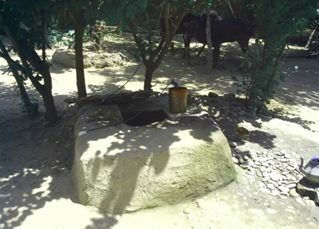 A lack of water prevents them from washing hands after using the toilets. There is an urgent need to construct a rainwater harvesting infrastructure and a safe sanitation facility at the school. There are 18 small and marginal farmers who have their agriculture field of 17.5 acres where they grow millets, vegetables and pulses during the rainy season. In addition to sloped and undulating land, due to torrential rains with intensity of 150 to 200 mm per hour, heavy runoff of rainwater causes soil erosion and damages crops of the farmers almost every year. 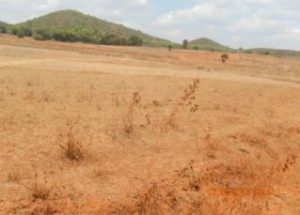 Contrary, with the end of monsoon rains, the lands become dried up, as the moisture retention capacity is very low. Due to the undulating topography, it make the lands unsuitable for agriculture. Over the years, due to erosion of topsoil and leaching of micronutrients, the productivity of the lands has been declining. 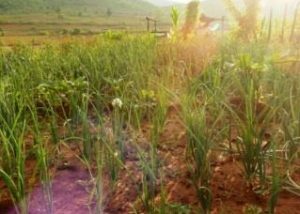 Hence the farmers, owning these lands are even reluctant to grow crops even during the rainy season, rather they prefer to work as wage laborers in the nearest town to earn their living. Some of the farmers also earn their living by selling firewood and charcoal which causes deforestation.